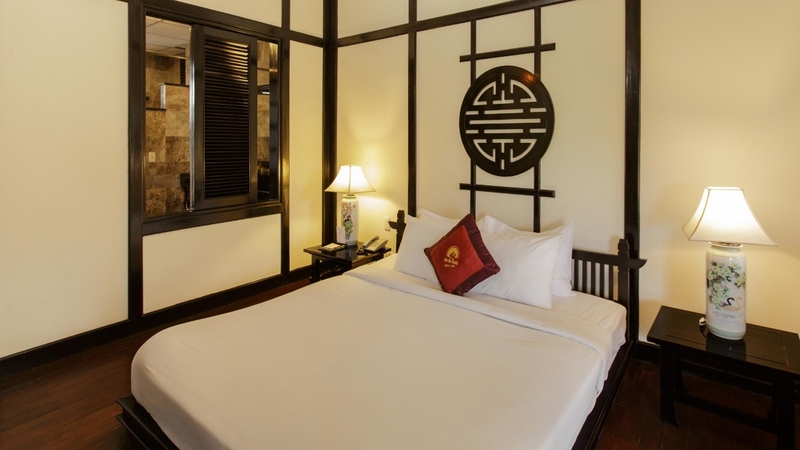 Perfectly set between the historic town centre and the white sandy beach, Hoi An Trails Resort and Spa is an idyllic choice. Featuring two stunning restaurants, a swimming pool and a spa, this charming boutique hotel oozes romance with its garden of ancient frangipani trees. Borrow a bicycle to explore the rice-paddy lined paths on two wheels, or hop on the shuttle for a quick way to see the sights. For a luxury holiday that includes a trip to this beautiful area of Vietnam, the Hoi An Trails Resort and Spa is hard to beat. 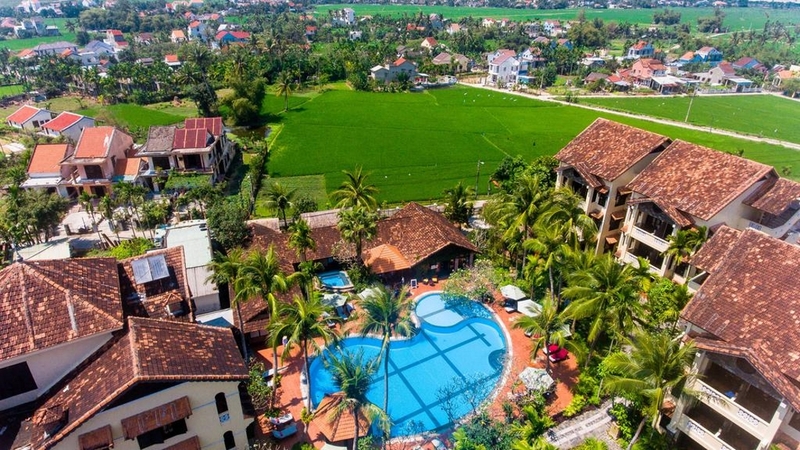 Hoi An Trails Resort and Spa is about a 5-minute drive from Cua Dai Beach, and there's a complimentary shuttle to the hotel's private beach. 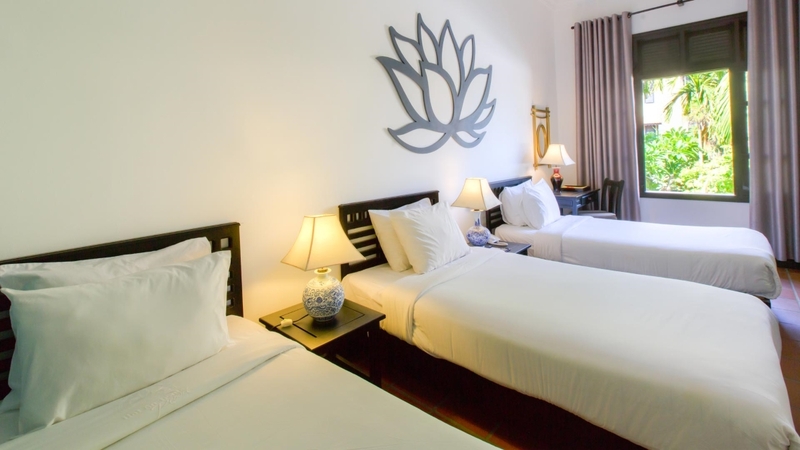 This hotel enjoys the best of both worlds on a visit to Hoi An, being positioned between the beach and the historic town centre. There’s a complimentary shuttle to take guests on the 10-minute journey to town, or you can borrow a bicycle to explore independently. Numerous restaurants, cafes and a pharmacy are also within a short walk of the resort. 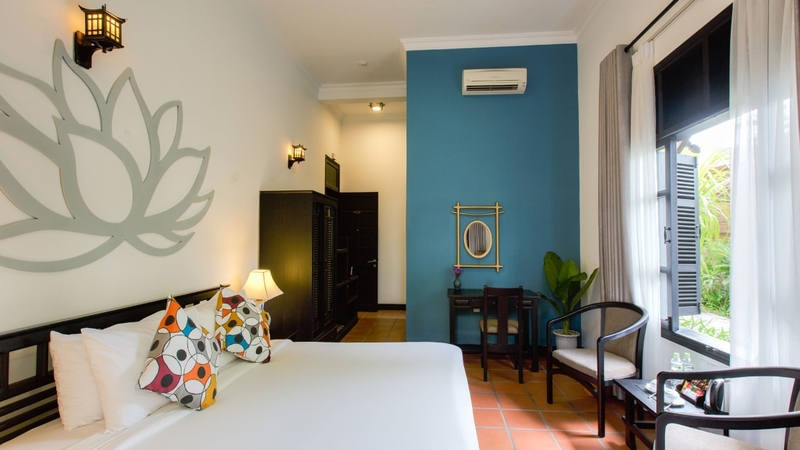 Da Nang International Airport is approximately a 45-minute drive away from Hoi An Trails Resort and Spa. Please note that details are subject to change. 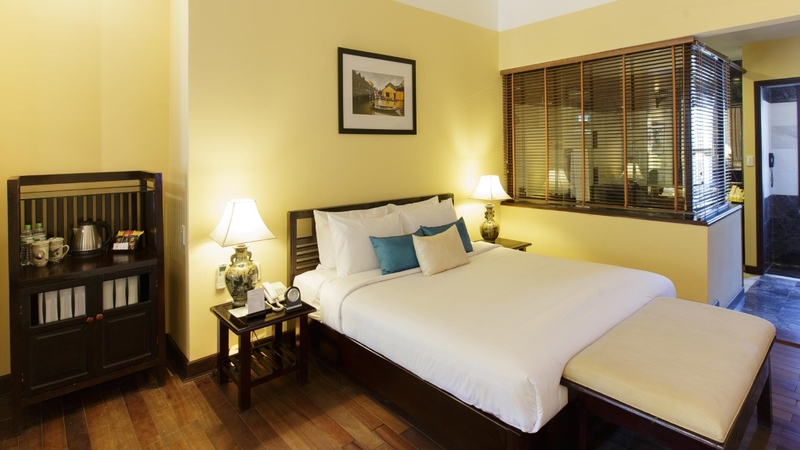 You will be provided with full details of the Premium Club Benefits on arrival at the hotel.